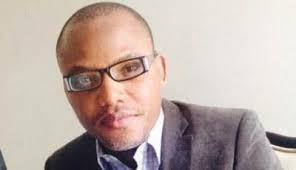 The Struggle for freedom and for the restoration of the Sovereign State of Biafra by the Indigenous People of Biafra (IPOB) under the leadership of Onyendu Mazi Nnamdi Kanu has been from inception a nonviolent struggle, in fact, nonviolence is the fundamental principle upon which our agitation has been anchored. The United Nations system recognizes, enshrines and guarantees in its charter certain fundamental Rights that are universal and inalienable to all peoples among which is the right to Self determination. We the indigenous people of Biafra(IPOB) under the leadership of Onyendu Mazi Nnamdi Kanu are pursuing this universally recognized and guaranteed fundamental right to Self determination in accordance with Internationally established and accepted processes. Despite the provocations, arrests and torture, notwithstanding the degrading and inhumane treatment meted out on Biafrans and the cold blooded murder and execution of unarmed peaceful Biafran civilians, the Indigenous People of Biafra (IPOB) has resisted the efforts of the Nigerian government through its security agencies to lure us into violent agitation. We are aware that 95% of media houses in Nigeria and about 98% of those who call themselves journalists in Nigeria are establishments and people without honor. In fact, these media houses and journalists are collaborators with the Nigerian government in committing crimes against humanity against the Indigenous People of Biafra. When Biafrans are mowed down in cold blood these unconscionable institutions and those that work within them will report that there was a clash between the Indigenous People of Biafra and the Nigerian security. A clash between Nigerian Army with AK 47 rifles and armoured tanks and unarmed Biafrans waving Biafran flags and singing Biafran songs? Some of the pathetic and shameless report by the compromised media establishment in Nigeria include the story that their celebrated kidnap kingpin was sponsoring IPOB and just some days back they reported that they arrested armed robbers with Biafran flags all in a bid to tarnish the image of the Indigenous People of Biafra(IPOB) under the leadership of Onyendu Mazi Nnamdi Kanu. The world must understand that Media houses in Nigeria balance their books not with patronage from the people but rather from bribes they receive from the government to cover the truth and report falsehood. That is the reason there are so much proliferation of media houses in Nigeria because they will receive Nigerian government subsidy to mortgage their journalistic conscience and that is the motive behind the present frenzy by the media trying very hard to justify the bribe they received from the government in its attempt to tar the Indigenous People of Biafra with the brush of violence and thereby help the Nigerian government achieve its most important objective of branding IPOB a violent group in order to validate the state sponsored violence and terror directed against the Indigenous People of Biafra. Just before the commencement of the ongoing killings in Biafraland, the Nigerian government generously distributed money to most of the media establishments in Nigeria print, radio stations and online bloggers. Just yesterday Aso Rock distributed further millions of Naira to media houses to cast IPOB as the aggressor whilst forgetting that we were in our homes sleeping when the Nigerian Army attacked us on Sunday afternoon and shot two people dead. What is happening in Nigeria with regards to coverage of the army occupation of Biafra land is a tragedy for journalism because IPOB remains a peaceful non-violent movement seeking self determination. We have not attacked anybody and are not as blood thirsty as the aggressors from the Arewa region. Biafrans must disregard the fabricated lies and falsehood from sponsored media platforms out to provide journalistic cover for the genocidal Nigerian Army. The Indigenous People of Biafra (IPOB) under the leadership of Onyendu Mazi Nnamdi Kanu affirms our inalienable right to determine our cultural, economic and political system, as well as our right to Self-determination as guaranteed and proclaimed by the United Nations Declaration on the Rights of the Indigenous peoples to Self-Determination and Articles V, VI, VII and XII of the African Charter on Human & Peoples Rights (ratified and domesticated by Nigeria in 1983. In recognizing and upholding this right as Indigenous People, we have chosen a nonviolent methodology to ensure that this right is accorded to us as Indigenous People of Biafra (IPOB). We know that this media war being championed against us by the compromised Nigerian media is crucial for the Nigerian government’s plan to annihilate us as a people and take over our land and resources, for us however this is a war for our survival as a people and must win this war if our race must continue to exist. It is in recognizing that for us this is an existential battle against lies and falsehood that our leader Onyendu Mazi Nnamdi Kanu has directed all Biafrans to take to social media now to save this and future generations from total Islamisation and annihilation. As I am writing this press Statement, the Nigerian Army are killing people at the residence of the leader of the Indigenous People of Biafra Onyendu Mazi Nnamdi Kanu and the world must be informed about this unwarranted and unprovoked slaughter that is ongoing. May CHUKWUOKIKEABIAMA give us the Indigenous People of Biafra victory over the might of all our detractors and enemies within and without.